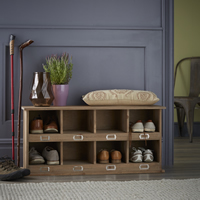 Our grey painted sold wooden shoe storage cabinet will add a contemporary feel to any hallway or living room and there's plenty of space to store up to 16 pairs of shoes and boots over three slanted shelves and a flat shelf at the bottom. 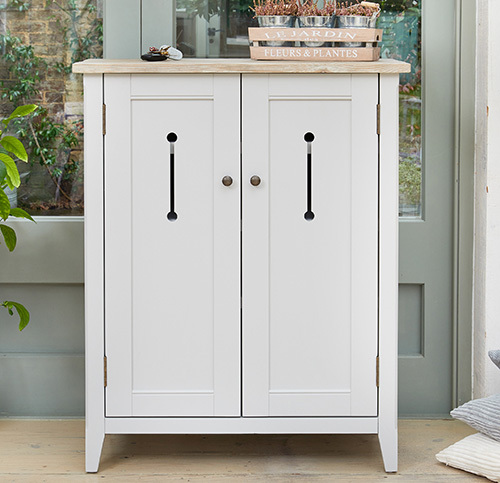 Each door features an attractive cut-outs which add a stylish touch whilst cleverly providing ventilation. 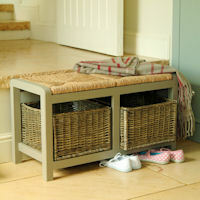 The grey-limed wooden top has been hand distressed for a unique feel. 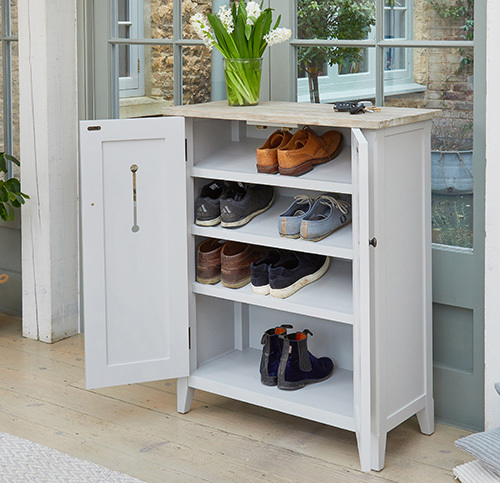 Our grey shoe cabinet has been crafted from solid wood and then goes through a six-step painting process to ensure a crisp and fresh yet resilient finish. 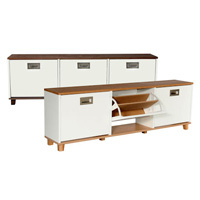 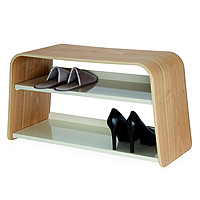 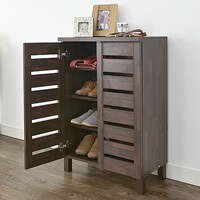 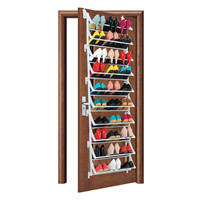 This lovely shoe storage cabinet is delivered to you fully assemble and comes with a 5-year guarantee for extra piece of mind.